Helsinki Region Environmental Services Authority HSY is a municipal body, which produces waste management and water services, as well as providing information on the Helsinki Metropolitan Area and environment. It is focused on the areas of water services, waste management, Regional and Environmental Information. HSY were looking for a solution to convert the heat of the exhaust gas into electrical power in order to increase both the electrical energy production and plant’s global efficiency. The ORC plant located in Espoo (Finland) exploits thermal oil at 275⁰ from 4 engines of 4 MW each for landfill gasification process. This plant utilizes the landfill gas to produce exhaust heat, thus to power the ORC. Achieving a net electric efficiency of 20.6%, the total electrical power of the ORC is 1.3 MWe. The cooling is carried out by air coolers.
" 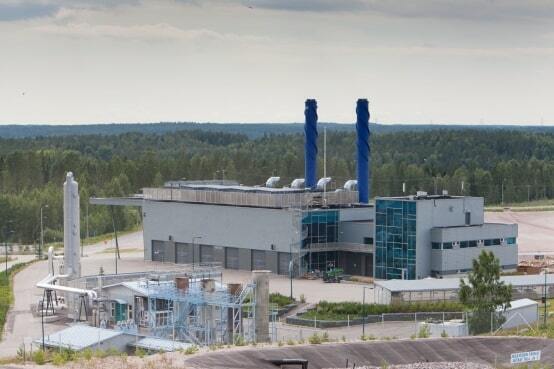 Since 2011 Turboden ORC plant has been in operation in Ämmässuo waste treatment center. We are very satisfied both of the plant and of Turboden as supplier. The mainly reasons of our satisfaction are the reliability of the plant and the good maintenance carried out by Turboden, which allow us to concentrate on the core business of the project: the waste treatment. "